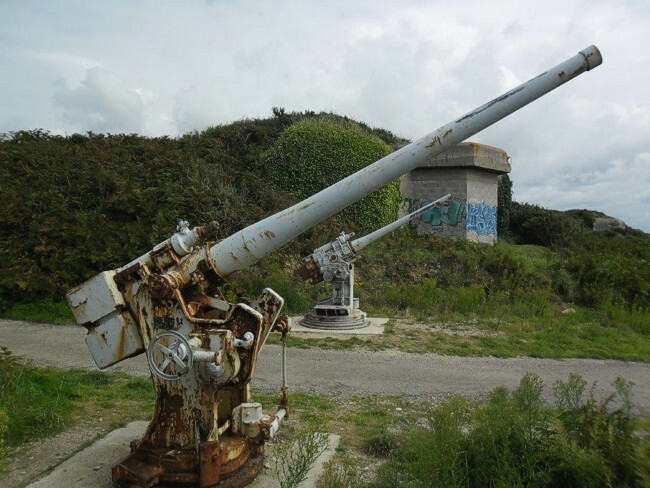 This battery is also known as the battery Les Rospects (Re 305) and is the first battery to protect the entrance of the Rade de Brest. It had 15 cm S.K.C./28 guns which were operated by 1./M.A.A. 262. Her sister, the battery Kerbonn stands at the other side of the Rade at Pointe de Pen Hir. Markings of the German construction unit.